I hope you are still here!! If so that means you read past the title that indicates you should make cupcakes in your slow cooker. You may still think I’m crazy, but stay with me here. Because these are seriously the BEST CUPCAKES I’ve ever had. No kidding. 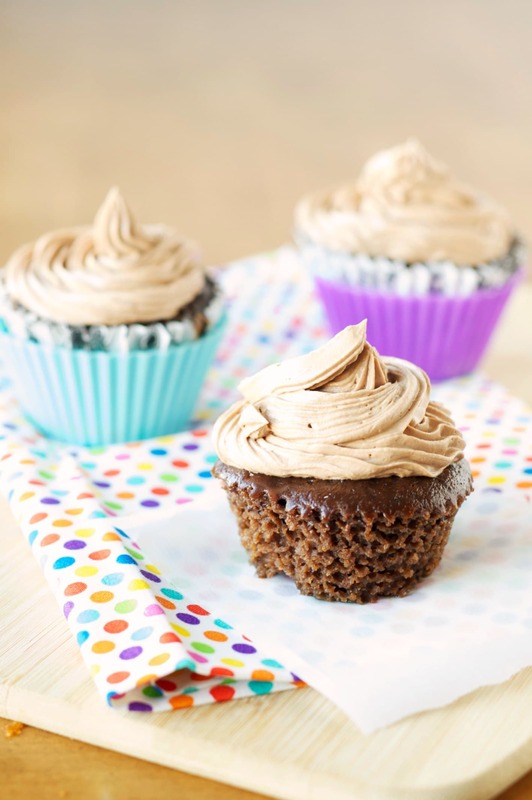 You too need to make cupcakes in the crockpot! 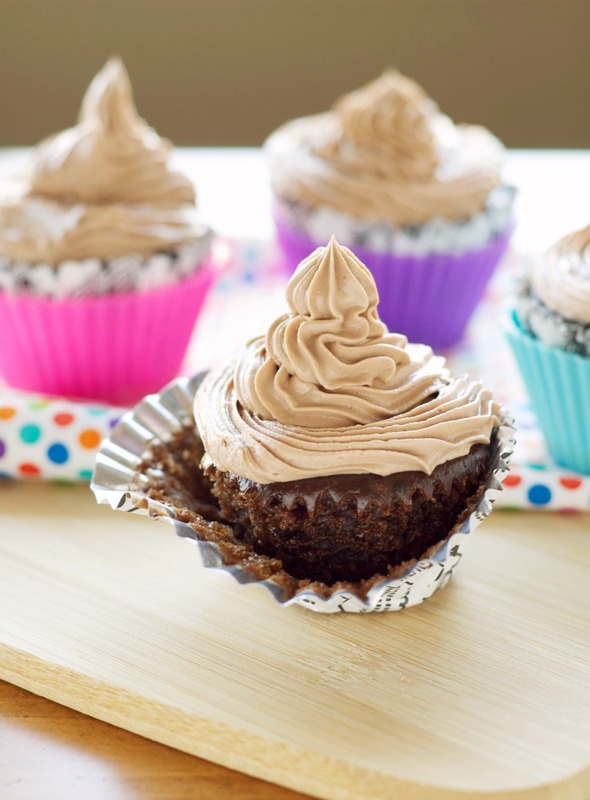 I’m not saying that if you have cupcakes due tomorrow for your 3rd graders class party that you should have 17 crockpots going to get these cupcakes made. That would be crazy. 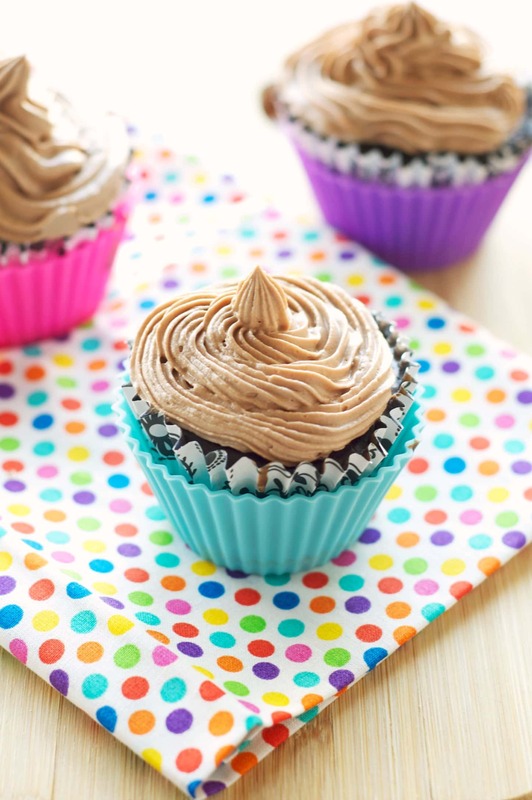 But if you are hanging around at home and get a little craving but you don’t want to sit around waiting on the oven or you just want to try something fun and different then you should for sure make these cupcakes. This will make 6 cupcakes which is the perfect amount! 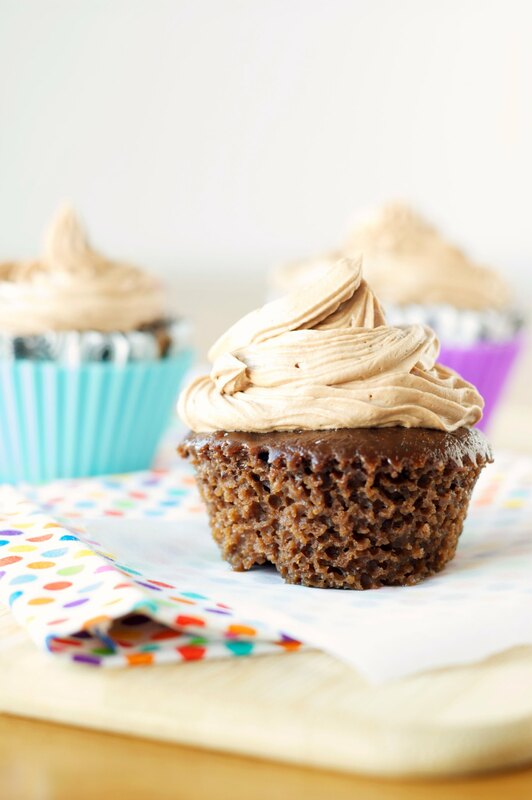 You can have a fun little snack but not be tempted to sneak back in and eat the other 7 cupcakes that are leftover from a big batch! I used the separate silicone baking cups and then I put a cupcake wrapper inside of each one. You place them in your crockpot and then carefully pour a little water in the bottom making sure none gets inside the wrappers. You will also need to prop the lid open just a smidge to let the steam escape. I used the handle of a wooden spoon. They are done when the cupcakes are all set and you can insert a toothpick that comes out clean. Mine took 5 1/2 hours on high. Wow! 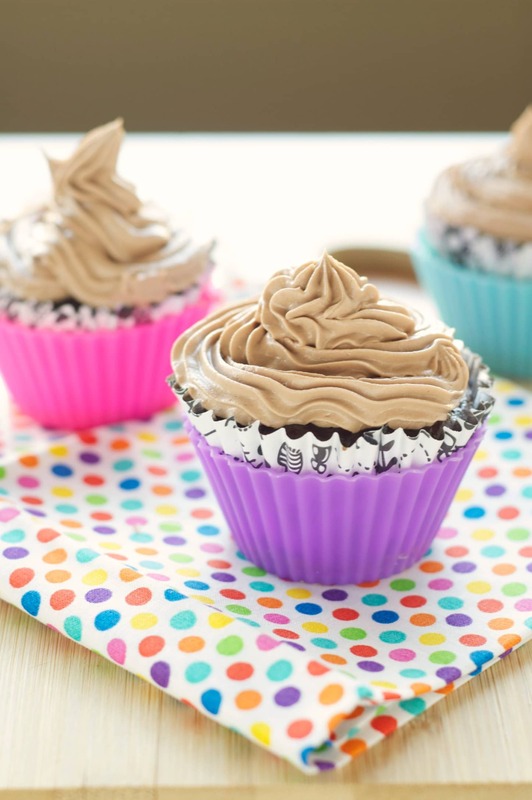 I never knew you could make cupcakes in a crockpot! Looking at the recipe — there isn’t an egg which cakes usually have. I want to try these cupcakes but I’m not sure about the ingredients. True…most cakes use eggs to emulsify and to add moisture. This recipe works without an egg because it is essentially steamed in the crockpot. 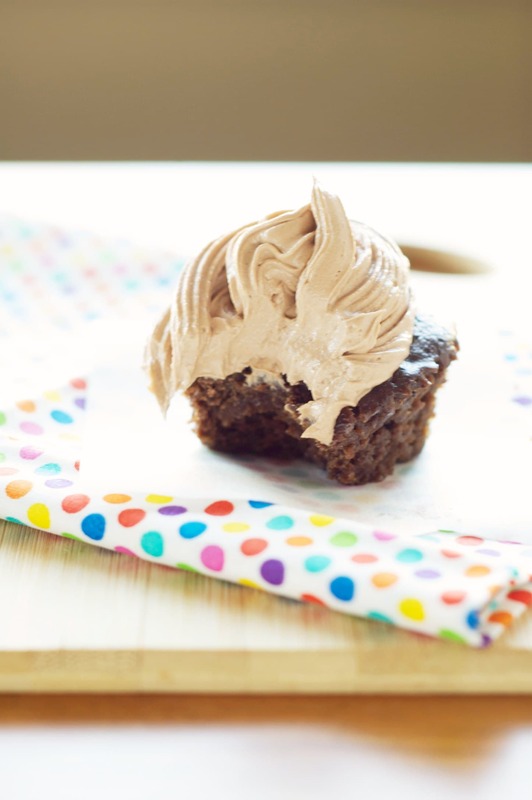 The cupcakes stay very moist and the bit of vegetable oil helps to bind it all together. Give them a try and let me know what you think!! I did try them in the oven and while they still work I didn’t like the texture as much as when I made them in the crock. They look really good, I love your photo’s very pretty. Thanks for sharing on Sweet and Savoury Sundays, stop by and share with us again this weekend! What!?! You are so creative! I would have never in a million years thought of making cupcakes in a crock pot. Love the chocolate hazelnut combo too! YUM! Pinned! Thanks for sharing at Show Stopper! Awww..thanks! They were fun to make and even more fun to eat! Thanks 🙂 So much easier since you can just put them in the crock and go about your day!! Never thought to use the crockpot what a great idea! will you mind if I retweet your post?